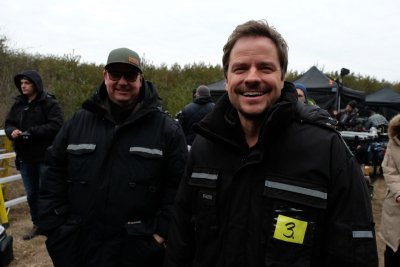 September 30, 2017: Until we fly again! 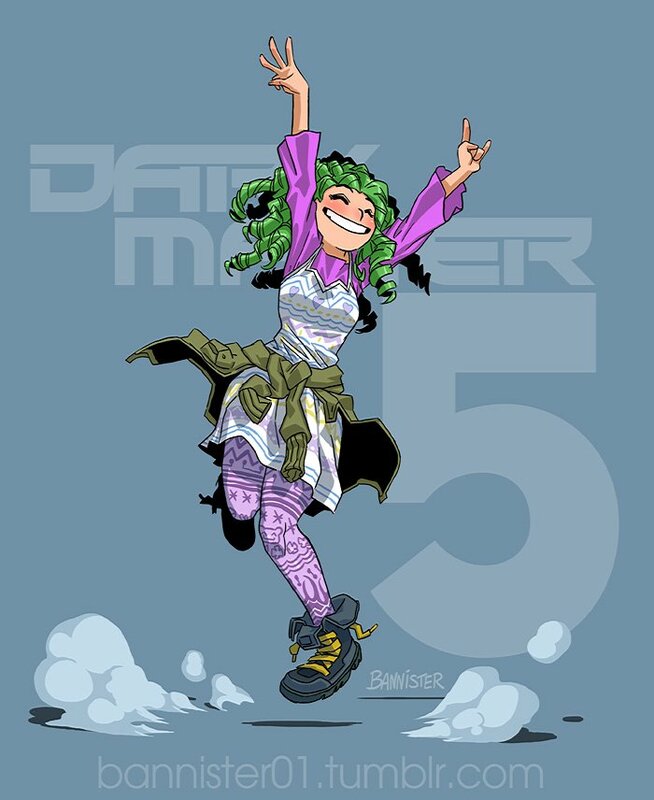 Thanks to the architects of the Dark Matter fan campaign – relentless organizers of the Friday FTL Drives and tireless promoters of our little show: Hilda Bowen, Tom Gardiner, Kelli Zielinski, Lance Zielinski, Syrine Gouni, Lorena, Molina, and Elise Cochrane. September 29, 2017: Fandom, start your blickensderfers! 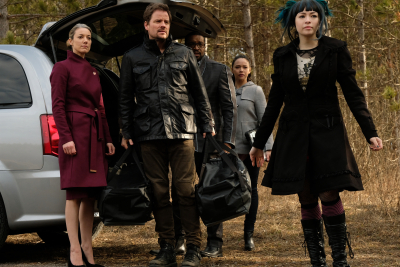 Alright, Dark Matter fandom. You ready to write? 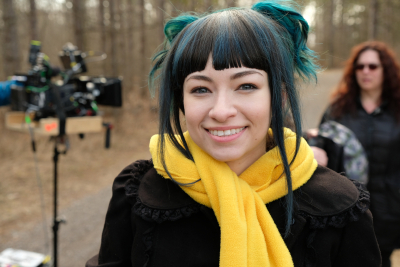 September 28, 2017: BIG Dark Matter Fan Announcement! Once a show wraps, the production usually holds an industry sale that allows them to recoup some costs and clear the stages. In our case, I thought it would be nice to do something different. A little something for fandom. I suggested to Jay Firestone, President of Prodigy Pictures, that we hold an online auction and give Dark Matter fans a chance to purchase their very own Dark Matter memorabilia. Prodigy Pictures President Jay Firestone has a better idea! Well, I spoke to Jay today and he has decided to go one better. He’s not interested in making money off this wind down. He just wants to reward fandom. So, rather than auction off these items, we’re going to give them away. And if you want your very own Dark Matter something, all it’s going to cost you is a little time and a little effort. 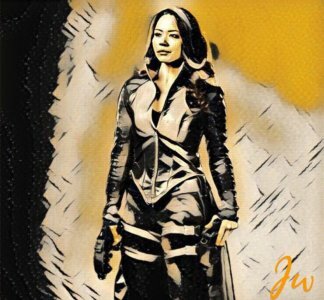 September 27, 2017: And a not goodbye yet to the Raza set! — Me to Akemi last night when she heard there was some archery competition going on this weekend. 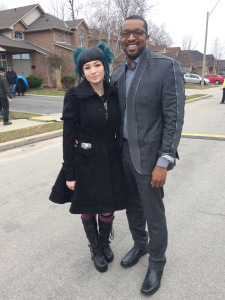 I have suggested to Prodigy Pictures that, if and when they decide to do away with the Dark Matter props, costumes, and set pieces, they do so by making them available for online auction instead of simply holding a private industry sale. While it would require a little more planning, I think it would be a nice gesture to the fans who have supported the show these three years. Will keep you posted on that front. 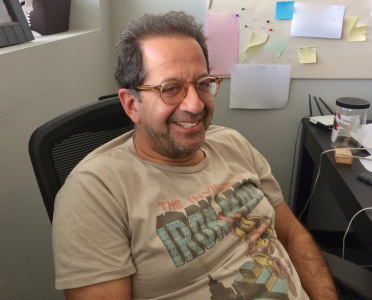 September 26, 2017: A Final Spin! Yesterday, I dropped by our second stage at Evans Avenue to say goodbye to what was, for the past two years, our home away from home (The Raza standing sets being home of course). Over those two years, it has held sets like the Marauder, the Ishida cruiser, the Hyperion-8 Galactic Super Max, Rook’s lab, the Dwarf Star pod facility, the Ferrous Corp shipyard, space station underbellies, the munitions factory, Sarah’s room, the Zairon transit chamber, the Zairon guest rooms, and others. Had we returned for a fourth season, we would have expanded our footprint here and built a Ferrous Corp lab, some space station interiors, and an alien ship (!). Ah, what could have been. I guess you’ll just have to Imagine Greater. No, wait. Wrong one. It’s A Fan Thing. No, wait. That can’t possibly be right either, can it? September 25, 2017: Read the Dark Matter script you chose! Well, it was close but our winner nudged out second place by 2% of the vote. All good things must come to an end – some much sooner than expected. Sadly, such is the case for Dark Matter. 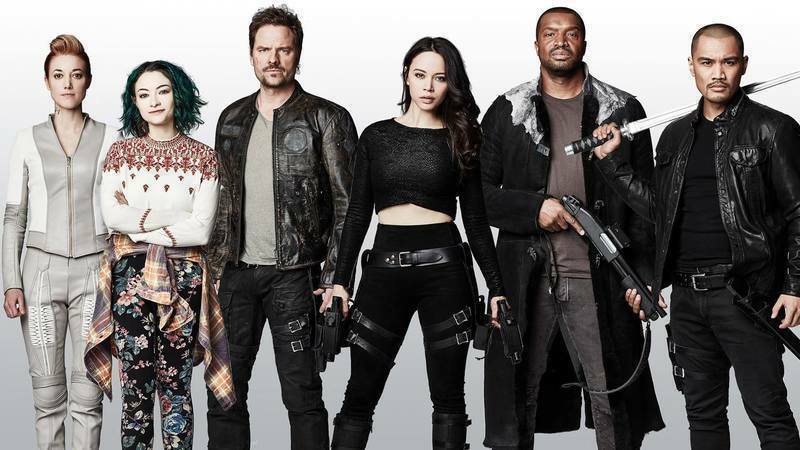 Despite word of the cancellation by syfy, fandom rose up and gave us new hope. We sought to buck the odds and find our little show a new home. But unfortunately, I just learned that our final option has proven unworkable due to contractual issues. It’s a shame because these potential saviors reached out to me and offered a creative solution that, had it worked, would have been a sci-fi fan’s dream scenario. But, alas, it was not to be. In time, I would love to tell you all about it. September 22, 2017: Ready to storm the castle?! Again!!! Today, I feasted on chicken broth, congee, and all of your questions. Check out my answers in the comment section of yesterday’s blog entry. Are we doing this? 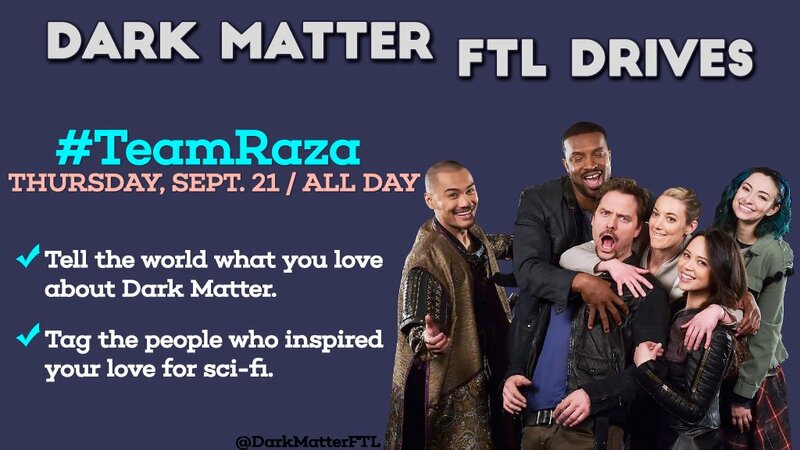 We’re #TeamRaza. You’re damn right we’re doing it! Prepare to take twitter by storm, 9 pm EDT/6 pm PDT. 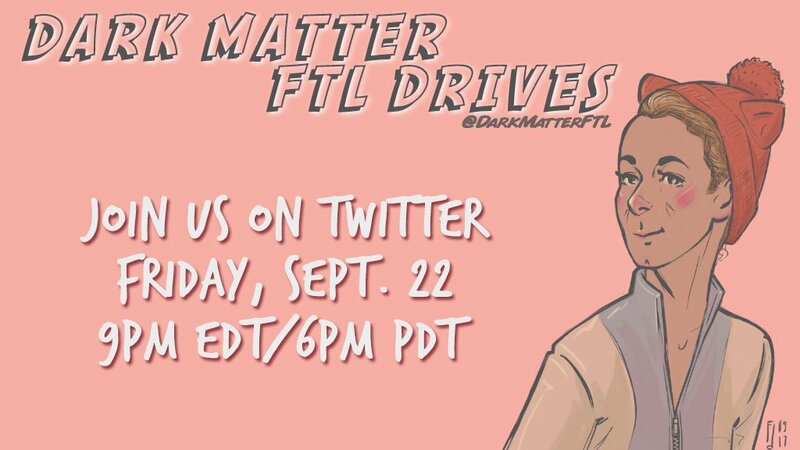 Follow @DarkMatterFTL for all the details including tonight’s secret hashtag! Looking for a Dark Matter-themed screen saver? Well, you’re in luck. Dark Matter Playback Operator @Videogreg1 assembled and forwarded me a slew of graphics from our awesome playback team (Kelly Diamond, Sumeet Vats, Victor Mare, Seth Molson) I’ll be posting them throughout tonight’s twitter event. Download them to your laptops as a first step toward building your very own Raza! See you all on twitter tonight! 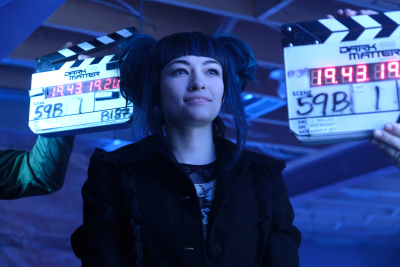 September 21, 2017: Let’s do a Dark Matter mailbag! Apologies for not checking in sooner. I’ve been out of commission today, sick and sleeping off what I assume to be a touch of food poisoning. Was it the curry ramen? A fried oyster? The lychee sake that tasted like dish washing soap? I’ll avoid a Murder on the Orient Express gag here out of respect for spoilerphobes, but let me be clear – it WAS one of them. I’m amazed by all of you who were inspired by many of the same mainstays of sci-fi that led me down this road. Asimov, Clarke, Ellison, Alien, The Thing, Planet of the Apes, Star Trek: The Original Series…to name but a few.